Dimple is a seventeen-year-old Indian American, and her parents have found the perfect husband for her. Unfortunately, she wasn’t looking for a husband, nor is she intrigued by the idea. However, when her supertwin best friend decides that she is interested in Dimple’s future husband, things get sticky. In the meantime, Dimple sorts out what it means to be South Asian, but raised in the United States. She learns her parents are actually people, with pasts and dreams and hopes for her. She uses her camera (she calls it “Chica Tikka”-Third Eye. Isn’t that beautiful?) and, in the process of developing her photographs, she tells the story of what it is like to be living in the space between two cultures. All right. I’ll admit it. I picked this book up once before and abandoned it because it felt like it was a billion pages long. However, once you’re into the story, the very lush language and descriptions don’t weigh it down. It’s a story that meanders, rather than slams you upside the head with a bunch of plot devices, one after the other. If you approach it with that in mind, I think you’ll love the descriptions of clothing and food and music; they’re very poetic and as I was reading, I felt like the author was also an artist, because of her celebration of detail and composition. This is a lovely book for summer reading; it begs to be read on the porch or a picnic blanket. I especially loved Dimple’s relationship with her parents. Through the course of the story, she begins to learn more about them as human beings-her mother was a beautiful dancer as a young person; her father prays daily for Dimple to find a loving life partner-regardless of gender. (Dimple isn’t a lesbian, but there are multiple queer characters in the story, so you won’t be disappointed.) It’s a really beautiful thing you realize as you become an adult: the process of growing from dependent child to an equal and a friend of you parents is very special, and it’s often overlooked in young adult literature. In this book, it is sensitive and nuanced and was one of my favorite threads in the story. All right, this book was hard for me to match with others, so bear with me, please! It fills a place in literature that just doesn’t have a lot of content yet. But, if you liked this book for the queer content-you know, the issues of being a minority of a minority, you might try Down to the Bone by Mayra Lazara Dole: the tone is a little lighter, and the protagonist a bit younger, but it’s about a Cuban-American lesbian and it’s really funny. If you like the specifically Indian queer content, you might try Blue Boy by Rakesh Satyal. I haven’t read it yet, but it is recommended on the ALA’s Rainbow List. Do you know of any others? I’d love to hear! 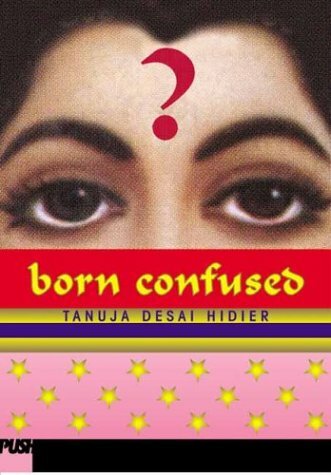 Posted on April 16, 2012 April 16, 2012 by ShannaPosted in ALA/YALSA Best Fiction for Young Adults, UncategorizedTagged bicultural identity, coming of age, GLBT, Indian, photography, South Asian.